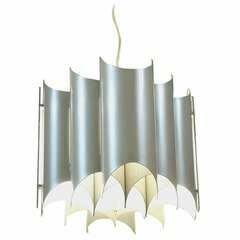 Large set of pendants, in metal, the Netherlands, 1970s. Large set of black metal hat-shaped pendants. 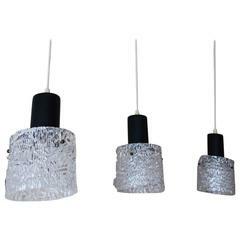 These lights consist of a black coated metal tube with a silver ring and black disc, which together remind of a gentlemen's hat. The inside of the pendants is white coated. The combination of black, white and silver makes a nice combination. 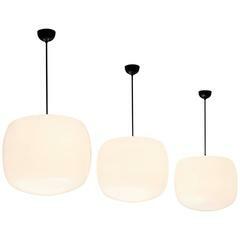 These monochrome colours makes sure the lights gets strengthen on the white inside and soothed by the black outside. 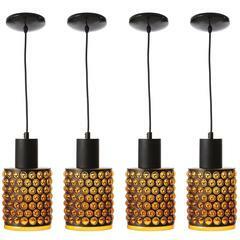 Measurements shade in centimeters Diameter 35 cm Height 17 cm Please note the price is per item. 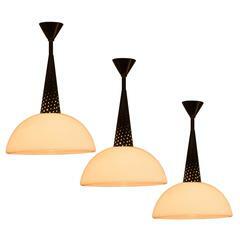 Set of three vintage Doria sculpted glass and black metal pendant lights. 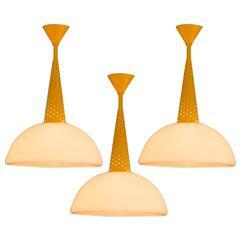 The light fixtures will take standard US or European bulbs.